Don McKay of the Bod Busters has done a detailed analysis of the Northwest's recent combat activity and come up with a proposal to expand and coordinate combat offerings in the region in 2009. 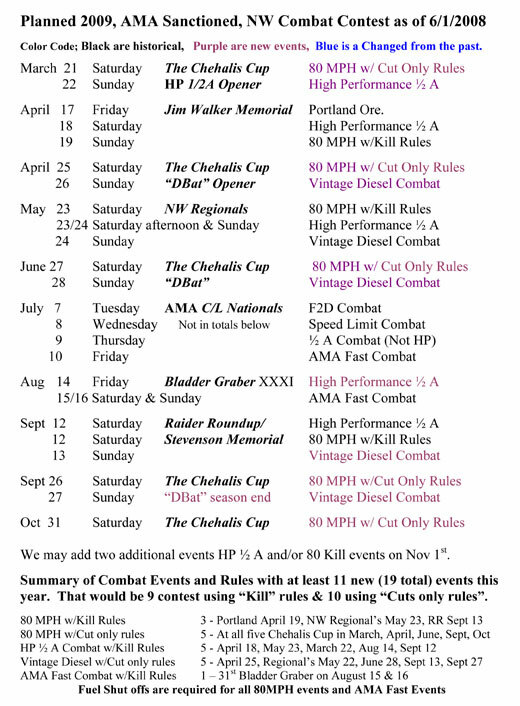 The graphic below shows the schedule of events as Don has assembled it. You can post comments about the schedule on the Northwest message boards or communicate with Don McKay directly. Coordination like this is sure to result in a better, more enjoyable combat competition series. The schedule was updated June 1, 2009.